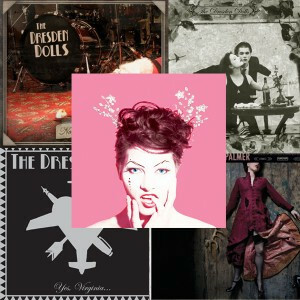 Amanda Palmer will be coming through Australia and New Zealand through September. Enter to win a ticket to the show closest to you using the widget below by tweeting about the show. Please ONLY enter the contest if you are able to make the concert. Winners will be notified via email. If you’re not feeling lucky, general admission tickets are still on sale here. Tickets for the first three shows of the tour are below, more to come soon! Please note that for your entry to be eligible to win, you must enter your full name and click the widget button that says “+1 Do It!” – click the button that says “Tweet” – and follow the directions for entering your tweet’s URL. You can tweet once a day until the show, and the more you tweet the better your chances are to win. You MUST include your full name to enter and your name must match your photo ID to claim your tickets at venue will call. Contest prize is for concert tickets to the show only, all travel and accommodation arrangements are up to you. Good luck!